The Porsche 911 will be featured at the 2013 Amelia Island Concours d’Elegance, scheduled for March 9-10 in Amelia Island, Florida. The 18th annual event will celebrate the 50th anniversary of the 911. Introduced in the autumn of 1963 at the Frankfurt Auto Salon, the Porsche 911 has become a touchstone design and the car that propelled Porsche to commercial and competition success. Designed by the late Ferdinand Alexander “Butzi” Porsche, the grandson of Dr. Ferdinand Porsche, the 911 broke new technological ground with a horizontally opposed six-cylinder engine that became the foundation of generations of Porsche sports and racing cars. Originally named the “Type 7” during its prototype stage, the new Porsche was assigned model number “901.” Copyright complications compelled Porsche to rename the new six-cylinder grand touring coupe. The new designation, “911,” was a logical, practical and inspired choice. The 911 remains a success in showroom and on roads and race courses worldwide. From its first entry Porsche’s new 911 won its category in all the classic sports car endurance races. Class wins in the 1966 24 Hours of Daytona, the 12 Hours of Sebring and the 24 Hours of Le Mans were followed by outright victory in the rugged Monte Carlo Rally in 1968. 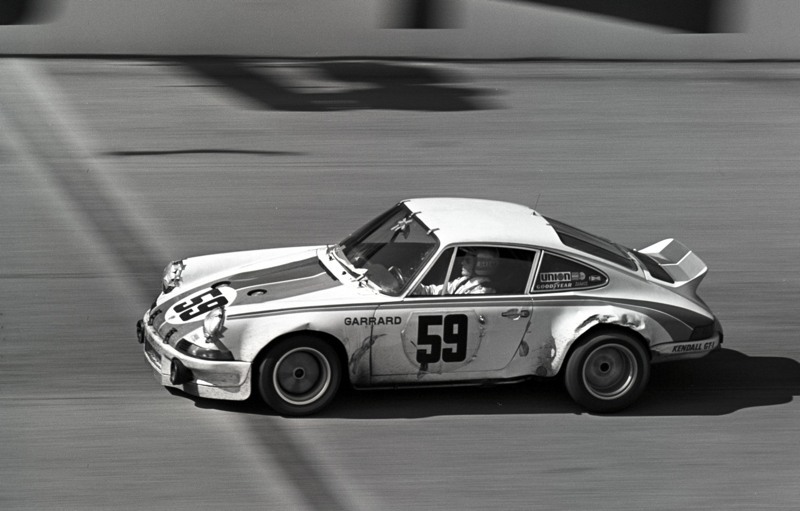 In 1973 the Brumos Porsche 911 RSR driven by Jacksonville’s Peter Gregg and Hurley Haywood won an upset victory in the 24 Hours of Daytona, defeating an international field of prototypes. The same year brought Porsche’s 911 overall victories in the punishing 12 Hours of Sebring and the World Championship Targa Florio on the mountain roads of Sicily. In a half-century the engine displacement of the 911 has doubled. The 911 has also been turbocharged making it one of the fastest and strongest accelerating cars for highway use. On February 4, 2012 Porsche introduced the latest version of the 911, the 991. The 2013 Amelia Island Concours d’Elegance will be held March 8-10th on the 10th and 18th fairways of The Golf Club of Amelia Island at Summer Beach adjacent to The Ritz-Carlton, Amelia Island. The show’s Foundation has donated nearly $1.8 million to Community Hospice of Northeast Florida, Inc. and other charities on Florida’s First Coast since its inception in 1996.